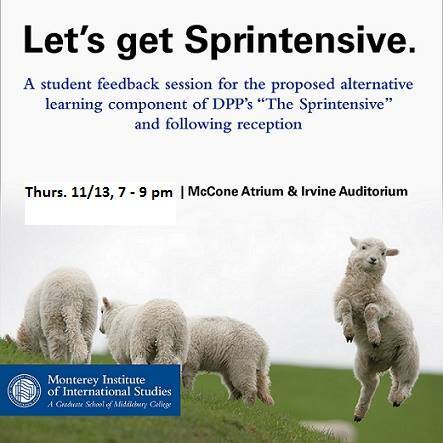 Tom Gray, is in the Nonproliferation & Terrorism Studies (NPTS) graduate program here at MIIS. His final semester at MIIS he is working at the International Atomic Energy Agency (IAEA) in Vienna, Austria as an IPSS fellow. Follow his journey through his blog, Every Wich Way. 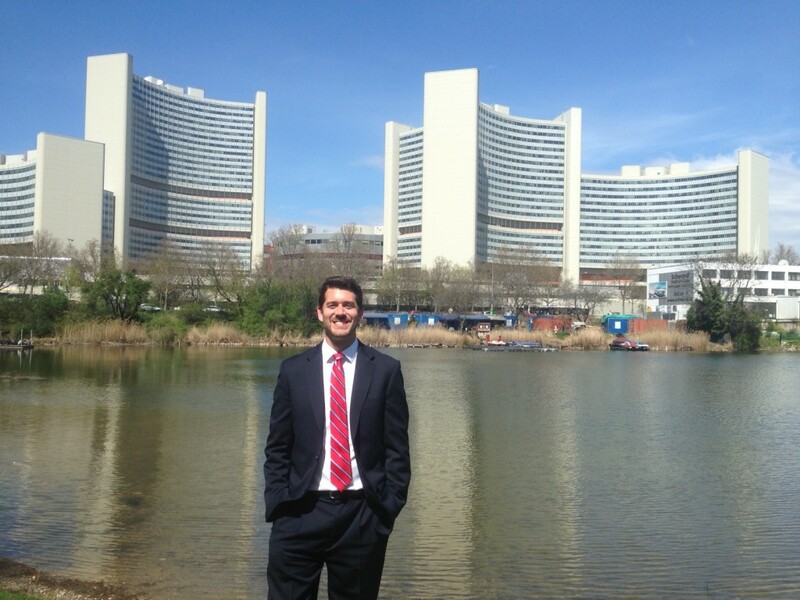 Tom’s Blog offers an insightful perspective of what it is like working for a large international organization in the nonproliferation domain. The Kroc Institute for International Peace Studies at the University of Notre Dame seeks applications for the position of Research Associate in Policy Studies. The Research Associate will work closely with the Director of Policy Studies at the Kroc Institute on research projects, curriculum development, and organizing research and education events both at Notre Dame and elsewhere. Don’t miss Dr. Itamara V. Lochard, THIS WEEK, discuss how a digitized 21st century and the word “Cyber” impact your field of study (Tuesday, April 29). 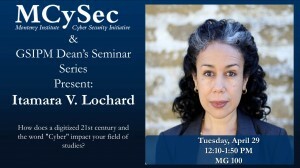 Please join Dr. Lochard with the Monterey Cyber Security Initiative (MCySec) to learn how they address the role of information and computer technology on hard security, development, state and non-state actors, ethics, social media, linguistics and languages, business and economics, peace and stabilization, the environment and other fields of studies that interest MIIS students and faculty. Dr. Itamara V. Lochard is the Director of MCySec. For more information on MCySec and how to join click here! 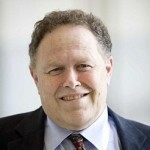 Dr. Avner Cohen, professor of nonproliferation studies at the Monterey Institute and Senior Fellow at the James Martin Center for Nonproliferation Studies, released several items from his personal research archive that offer new insights into Israel’s decision not to use nuclear weapons during the 1973 Yom Kippur War. The key item in this release is a video interview with the late Azarayahu ‘Sini’ Arnan, former senior advisor in the Israeli government, who provides a dramatic eyewitness description of a closed-door ministerial consultation in which Israeli Prime Minister Golda Meir overruled Defense Minister Moshe Dayan, halting preparations to ready the country’s nuclear weapons for a possible demonstration during the 1973 War. This interview upends conventional assumptions that Israel was very close to using nuclear weapons in this conflict (or even threatened to use nuclear weapons) and provides unique insight into how the Israeli government came to this decision. Jon Wolfsthal on “Syria: Even If They Hand Over Their Chemical Weapons Stockpile, Could They Still Make More As Assad Fights For His Life?” in International Business Times. Raymond Zilinskas on “Disarming Syria of chemical weapons highly complex, experts say” in Los Angeles Times. Raymond Zilinskas on “Unit Experienced in Chemical Weapon Destruction Stands Ready to Help” in The New York Times. Raymond Zilinskas on “Chemical Weapons: What They Are And Why They’re Different” on kuow.org. Amy E. Smithson on “Chemical Disarmament Hard Even in Peacetime” in New York Times. Amy E. Smithson on “A US Attack On Syria Would Violate The UN Charter” in Mint Press News (MPN). Phillipp Bleek on “The cat-and-mouse game with chemical weapons” from msnbc. 2012 MIIS study on “Shoreline erosion high, study says” in The Monterey Herald. “Syria’s chemical weapons: a mysterious arsenal” in The Global Post. 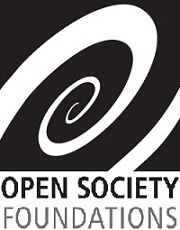 Gaurav Kampani on “Military Crises and Diplomatic Rapprochements” in The Greater Kashmir.